WASHINGTON ― Underneath the rosy picture of a strong U.S. defense industry lies a demographic challenge for the workforce and contraction issues, a new government study has concluded. The annual Industrial Capabilities report, quietly released May 17 by the Pentagon’s Office of Manufacturing and Industrial Base Policy, found that America’s defense industry continued to outperform other industrial sectors in fiscal 2017. The report notes that the Department of Defense had a trio of meetings with the Aerospace Industries Association in FY17 to address workforce issues, with promises for those dialogues to continue in the future. The report also describes what it sees as the biggest threats to the industrial base for different domains of warfare. 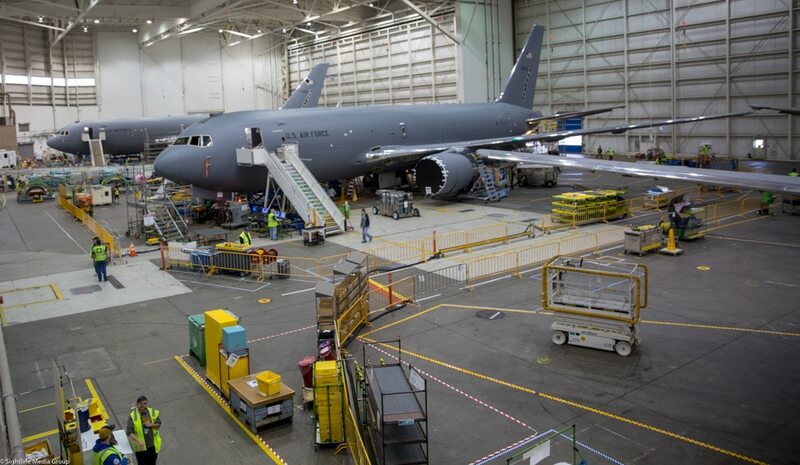 According to the Pentagon, the biggest risk for the aerospace sector is its ability to “sustain the design and manufacturing skills and capabilities needed for future aircraft design and manufacture.” Specifically, the authors of the report are concerned that “foreign dependency, single or sole sources, and financial viability continue presenting a risk for the aircraft” puts lower-tier suppliers at risk in the defense and aerospace sector. The shipbuilding sector remained stable for FY17, but continues to face potential consequences if something were to happen to the small, highly concentrated industrial base. The DoD should continue to closely monitor shipbuilder workload to ensure enough production exists to keep the industrial base alive, the report says. The space sector is “increasingly dependent” on the commercial market, which evermore so is focused on nonmilitary launches. While that has provided technological developments in the last decade, it also means certain parts and qualifications used for national security space missions are in short supply. “Unless a timely investment to establish a domestic capability is made, the United States will be at high risk of putting multiple [national security] programs in jeopardy,” the report found. There are also major concerns about the “organic industrial base” ― those internal suppliers who handle acquisition, sustainment and maintenance issues. But the infrastructure that makes up the organic industrial base is struggling mightily, which is impacting the ability to do work in a timely fashion. For example, each year, a “significant number of work stoppages are attributable to the age and condition” of the naval shipyard infrastructure, which is on average seven years older than industry standard. Merger and acquisitions activity remained steady from the previous fiscal year, with 13 potential mergers reviewed by the DoD. But the total value of transactions increased from previous levels, thanks in part to three major mergers and acquisitions ― United Technologies’ acquisition of Rockwell Collins, Northrop Grumman’s acquisition of Orbital ATK and Ultra Electronics’ planned acquisition of Sparton Corporation.